Ford announced in 2015 it would start shipping the Edge from its Oakville, Ont., plant to Western Europe. Canadian motor vehicle assembly is poised for a big first quarter — and potentially, a big year — as U.S. sales are forecast to remain strong, according to a new report by Scotiabank Economics. The institution’s Global Auto Report, issued Tuesday, predicts a perfect mix of low inventories, strong demand and healthy economy in the United States, the destination for about 85 per cent of all vehicles assembled in Canada. It also says the production of pickups at General Motors’ Oshawa assembly plant will increase the number of auto exports. Scotiabank expects the number of vehicles assembled in Canada to jump 9.75 per cent in the first quarter of 2018 when compared with the fourth quarter of 2017. That’s due largely to a four-week strike by Unifor at GM’s CAMI plant in Ingersoll, Ont., where the Chevrolet Equinox is built. FCA Canada also halted production at its Windsor, Ont., assembly plant for about a month because it needed an upgrade so the Dodge Grand Caravans made there would meet new U.S. safety standards. Scotiabank also forecasts 17.4 million vehicles will be sold in the United States in 2018, up from the 17.1 million sold in 2017 but slightly fewer than the record 17.5 million sold in 2016. It also predicts U.S. sales of 17.3 million vehicles in 2019. The new report comes just two weeks after the Conference Board of Canada predicted essentially flat production and less profit for Canada's automotive industry. The Conference Board of Canada forecasts that total industry production, including parts, will rise by 0.8 per cent this year. “The fly in the Canadian export ointment continues to be uncertainty surrounding NAFTA,” the report warns. Production “is still subject to ongoing NAFTA discussions on rules of origin,” Scotiabank says. That’s because under the current terms of the North American Free Trade Agreement, 62.5 per cent of an assembled vehicle’s content needs come from either Canada, the United States or Mexico in order to be sold duty-free. The United States wants to increase that percentage to 85 and also wants 50 per cent of a vehicle’s content to be made in America. Canada and Mexico have rejected those ideas. 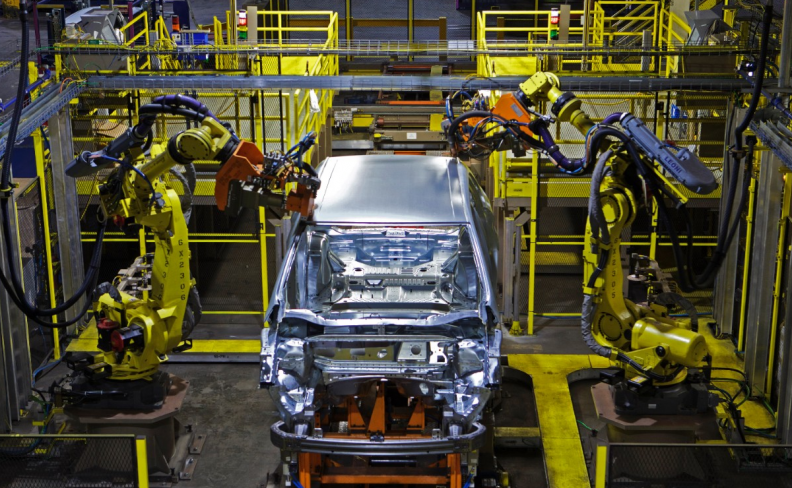 U.S. auto production is also set to increase, the report says.